California wine country – often described as “casual… picturesque,” with rolling hills punctuated by lush vineyards and scenic wineries, enjoying a Mediterranean-like climate of warm, dry summers and cool winters. Napa Valley? Sonoma? Actually, this describes Southern California’s burgeoning wine country – Temecula Valley. Welcoming more than 2 million visitors each year, Temecula Valley is centrally located 1 hour from San Diego, Orange County and Palm Desert, and 1 ½ hours from Los Angeles. Characterized by the sunny, relaxed spirit synonymous with Southern California, Temecula boasts three specific tourism destinations that provide an inviting and exhilarating experience for all visitors – Downtown Old Town Temecula, Temecula Valley Southern California Wine Country, and Pechanga Resort & Casino. For more than a hundred years, cattle were the backbone of the Temecula Valley economy. Until the mid-1960’s Temecula’s Old West-lifestyle flourished. This lifestyle is vibrantly reflected in Old Town’s buildings and its many historical facades. 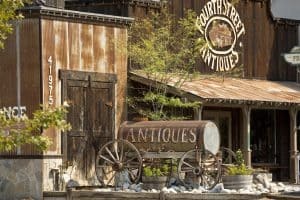 More than a dozen historical properties dating as far back as the 1890’s still exist and have been re-purposed into dining, entertainment or shopping venues. 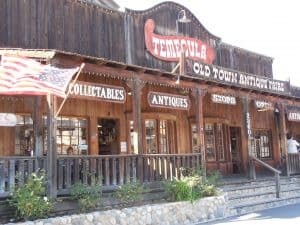 Stop at the Temecula Valley Visitors Center for a free, self-guided Old Town Temecula Historic Walking tour map/brochure. Spend a day or two casually walking the streets of Old Town visiting some of its interesting shops and galleries. Be sure to visit the Temecula Olive Oil Company, Temecula Lavender Company, Gallery at the MERC and Art Gallery at the Temecula Civic Center. Dine at one of the many independently-owned restaurants or upscale bistros. We highly recommend two Old Town spots for some lighter fare. The Goat and Vine features imaginative stone hearth pizzas and handcrafted sandwiches. 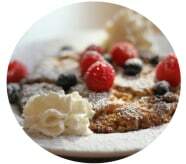 “Le” Coffee Shop Bakery serves delicious breakfast and lunch items prepared in an authentic French style. Experience some of Old Town’s exciting entertainment offerings. The Old Town Temecula Community Theater presents a variety of theatrical and music productions. The historic Mercantile Building – now the MERC – showcases various performances from classical chamber music, notable jazz artists, Broadway-style cabaret acts to Country Music. Considered by many as one of California’s most engaging and approachable wine regions, Temecula Valley Wine Country features over 50 wineries. 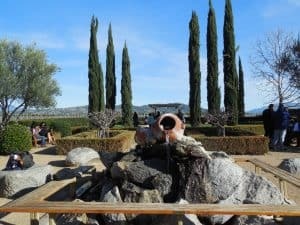 Blessed with a unique micro climate, great geography, and excellent soils, Temecula Valley is garnering a well-deserved reputation for growing high quality wine grapes. This prize winner is the only California city selected, and California was one of only two North American states among the list. Wine Enthusiast Executive Editor Susan Kostrzewa says, “We seek locales that offer world-class wine and wine-related experiences… The list balances classic, famed regions with emerging, insider gems that have yet to be discovered.” So if you’re not familiar with Temecula Valley, this “gem” has now been discovered. Visitors can experience the region’s welcoming wineries in a variety of ways. 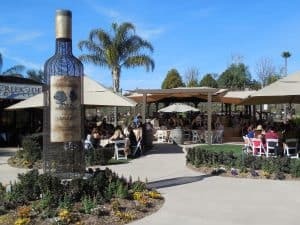 In addition to visiting some of the many impressive tasting rooms on your own or by local tour and transportation companies, you can partake of learning experiences and wine education programs, enjoy concerts and wine-and-live-music events, outdoor activities, and dining in any of the 19 excellent winery restaurants. We suggest you forget the diet for one day and enjoy Wilson Creek Winery’s bountiful Sunday Brunch Buffet. The winery’s Creekside Grille presents a lavish array of stations – omelet, waffle, seafood, dessert and more. You might also opt for the unlimited sparkling wine so you can sample their signature Almond Sparkling Wine. One indulgent wine country experience is a visit to The Grapeseed Spa at South Coast Winery Resort & Spa for one of the Spa’s innovative vine-based treatments or the “Vino-Vinyasa,” a yoga and wine tasting session. Maybe you would enjoy an equestrian experience in wine country. Guided rides on picturesque trails or a wine tasting tour by horse-drawn carriage will take you alongside vineyards, ranches, and wineries. 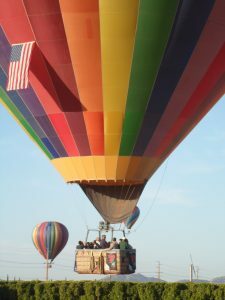 Year round ballooning in Temecula Valley. 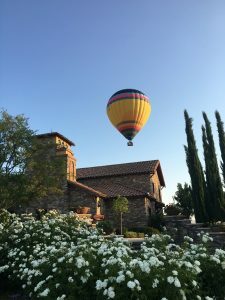 A unique way to enjoy the beauty of Temecula Wine Country is from the air – with a hot air balloon flight. The valley’s delightful, year-round climate makes it possible for hot air balloon companies to launch at dawn year round. 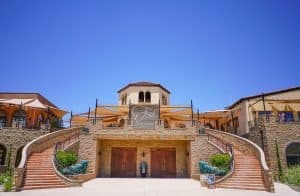 Festival, California Wine Month in Temecula Valley Wine Country, CRUSH Gala – Wine & Culinary Showcase in Temecula Valley Wine Country, and the Annual Barrel Tasting. We were fortunate to be in town for Barrel Tasting weekend and spent the better part of two days enjoying the food pairings with exclusive samplings of finished and unfinished wines. 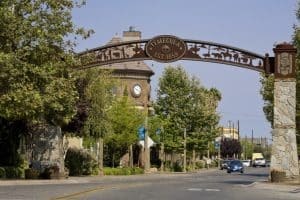 Where should you stay when visiting Temecula? 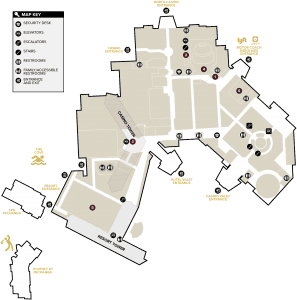 Why not a AAA Four Diamond resort? Located just minutes from Old Town and Temecula Valley Wine Country, Pechanga Resort & Casino is an award-winning property that recently completed a $300 million renovation. In addition to its AAA Four Diamond Award, which Pechanga earned when it first opened in 2002 and every year since, the resort was named “Best U.S. Casino” by USA Today in 2015. Pechanga is the largest resort/casino on the West Coast and one of the largest in the country. 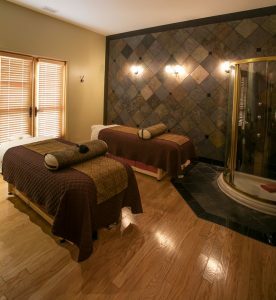 The 27-month renovation nearly doubled its room capacity to 1,090 and expanded its palatial spa facility to 25,000 square feet. The Spa at Pechanga is one of the most luxurious spa facilities we have seen. A variety of relaxation areas – both indoor and outdoor – offer panoramic views of the surrounding hillside. The renovation also added The Cove, a spectacular 4 ½-acre tropical pool complex. The Cove Pool at Pechanga Resort and Casino. 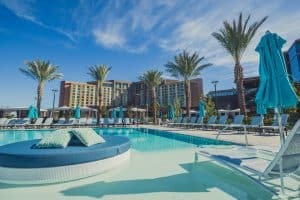 The Cove features a restaurant, three pools including a zero-edge Main Pool with swim-up bar and a Family Pool with two water slides and a splash pad, and five spa pools. Guests can enhance their pool experience by renting one of the 27 VIP cabanas or one of the 6 luxury, circular day beds set directly in the water of the Main Pool. Dining at Pechanga is a treat, as 13 restaurants offer guests a wide selection of options from fine dining like the AAA Four Diamond-awarded Great Oak Steakhouse to casual fare. Pechanga also offers a variety of entertainment including A-list performers in concert, sporting events, stand-up comedy, and exciting nightclubs. The Resort boasts one of the top public golf courses in California – Journey at Pechanga. This par-72, links-style course combines breathtaking views of the Temecula Wine Country and the surrounding rolling hills with a playable, picturesque course. GOLF Magazine lists Journey on its Top 30 Courses in California. LINKS Magazine has placed Journey in its “Top 10 Best Casino Courses.” Golfers will find more great golf at any of the area’s six other public courses. 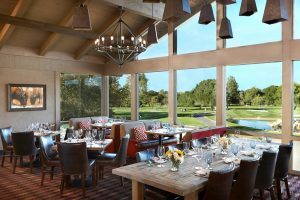 In addition to the lush accommodations at Pechanga, a great lodging choice is Temecula Creek Inn, especially if you plan to play some golf. The Inn was voted Conde Nast Traveler Readers’ Choice Top 25 Hotels in Southern California. The golf course has 27 holes and spectacular scenery. Views from the course and from many of the rooms include stunning vistas of the mountains surrounding Temecula Valley. Temecula Creek Inn is also home to one of the valley’s better restaurants, Cork Fire Kitchen. This rustic yet refined restaurant focuses on local with a dedicated pursuit of farm-to-table provisions from a variety of local purveyors. Many of Cork Fire’s inventive, farm-to-fork creations and craft cocktails get their start in the Chef’s Garden situated just steps outside the Kitchen. If more than 50 wineries aren’t enough for you, Temecula is also home to 10 craft breweries and two distilleries. For more information about Temecula Valley Wine Country, Old Town and their many events and offerings check out VisitTemeculaValleycom. ← Savannah Georgia: A Literary Visit.